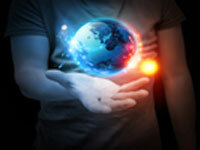 My Admin Guardian offers a full support service for your managed IT services. Using My Admin Guardian will create an environment that will support the various business endeavors. My Admin Guardian minimizes the risks involved when creating/sustaining an IT infrastructure due to the expertise of our staff and technicians. My Admin Guardian Offers IT support solutions that fit within your budget. My Firewall Guardian provides firewall management services that will not merely support your current firewall services but will assist with adapting to the constant changing environment of security threats that occur on a day to day basis. My Firewall Guardian is personalized to your business needs ensuring proper network access while safeguarding the accessibility, reliability and privacy of information. My Server Guardian manages the accessibility, integrity and optimization of your server. Through My Server Guardian, server performance is improved by specialists that proactively maintain the server. My Server Guardian is essential to continually increase and optimize business server productivity. As the business develops and expands subsequently, My Server Guardian will provide all your business server needs. My Antivirus Guardian provides a comprehensive real-time security protection to servers, workstations and portable users. My Antivirus Guardian manages your essential anti-virus and malicious software systems to avoid any unnecessary downtime from system security events. My Antivirus Guardian is engineered to defend against: viruses, spyware, phishing attacks, and identity theft. 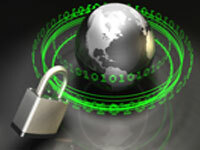 My Antivirus Guardian will protect against the various methods viruses and malicious software can penetrate the system. 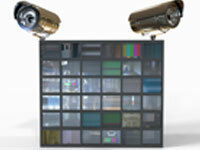 My Surveillance Guardian provides a managed video surveillance that permits secure and protected offsite storage. My Surveillance Guardian offers a 24×7 support system should any of the equipment become non-operational or if there are questions regarding the surveillance. With My Surveillance Guardian, your accessibility to the video surveillance system will be how you choose, through a desktop, laptop or smartphone. My Workstation Guardian manages all enterprise workstations hardware and software. My Workstation Guardian supervises not only the desktops in the business location, it supports the laptops that are linked to the system server. My Workstation Guardian can access the workstation remotely to execute essential tasks to optimize system productivity. My Web Guardian manages intranet and internet sites. Through My Web Guardian, user-friendliness of the company intranet and internet site will increase. With My Web Guardian, the business website optimization is key priority; this is accomplished through scheduled site maintenance. My Web Guardian support is available 24×7 to assist with any and all situations that might transpire. 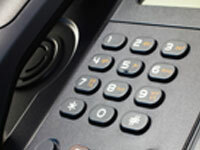 My Phone Guardian manages your current or new phone system that your business utilizes. My Phone Guardian techs will assist with the ordinary day to day management and assistance of the phone system and staff training of the functions and use of the system. My Phone Guardian support is available 24×7 for all types of issues or concerns that might arise.